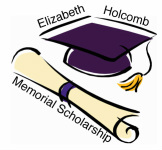 Bridgemont has established a scholarship fund in memory of Ms. Holcomb and the many years of sacrificial work she did with students.The Scholarship continues the legacy of Ms. Holcomb's unrelenting commitment to each student and her dedication to their success. Contributions will help students in need benefit from a college prep education and go onto college with a foundation in Christ. Libby was introduced to the Lord at an early age. She was baptized at Greater Central Baptist Church of Harlem, NY and was an active member of St. Phillips Baptist Church of Staten Island, NY. 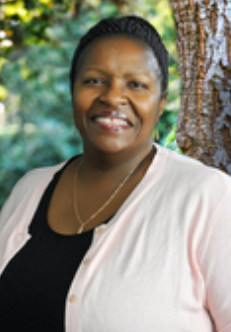 Upon relocating to San Francisco, she became an active and devoted member of the San Francisco Christian Center under the leadership of Bishop Donald Green. Following her retirement from US Public Health Service Corps in 1995, Libby became principal of S.R. Martin College Preparatory School. In her 15-year service, Libby (or Ms. Holcomb to the kids) adopted each one of her students as her own. In the summer of 2010 SR Martin merged with Bridgemont and Libby became the vice principal. Elizabeth, or “Aunt Libby” as she was fondly known, touched the lives of countless people. She didn’t judge, discriminate, and she truly was a selfless woman and faithful servant of God. She encouraged youth from all walks of life to embrace their potential and pursue higher education. She was one of those rare individuals who lived in the toughest neighborhood and opened her door to any student that needed help. Most of all she loved the Lord and wanted to see kids become educated men and women of God. Her life made a difference. We will miss her. Bridgemont High School or online.